Complete Link | 802.11AC Point to Point Wireless Ethernet Bridge that allows you to connect 2 locations up to 1/2 mile apart. For the fastest throughput, unobstructed Line of sight is recommended. These antennas will allow you to connect any two locations, or devices that are seperated by concrete, trees, or other obstacle that is preventing you from networking 2 locations. This wireless bridge operates like an invisible Ethernet cable. It will pass VLAN tagged frames, DHCP, as well as voice, video, and internet. It is fast enough to support 1080P video cameras, Netflix video and 4K HD TV. Install this link between your home and office, and stream Amazon prime video with no delay. New features include ultra-slim line design, at only 1" thick! 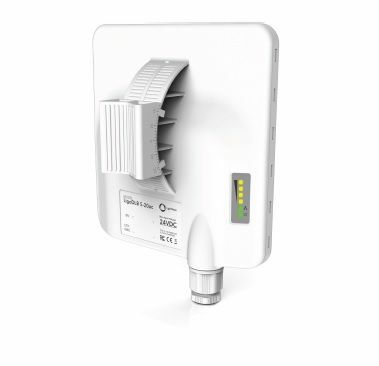 Faster throughput, multi-frequency support, high packet per second processing, and additional channel width options including 1/10/20/40/80MHz are the latest technical features for the 802.11AC antennas included in this link. This allows greater flexibility in high interference environments. The larger 20dBi gain integrated antenna will allow for a stronger signal between your two wireless bridge antennas. 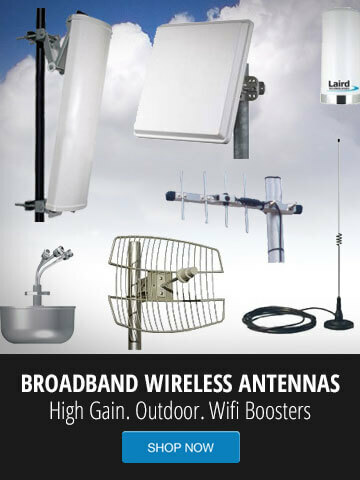 We recommend installing these antennas outdoors, preferably on the side of the home or office. Because the antennas are only 8" square, they are now more easily installed and less visible to the end user. The new antenna enclosure is all plastic design, with no metal parts making it lighter and corrosion resistant. Replacing an older ubiquiti nanostation NSM5 or NSM2 is a direct fit, as the cat5 cables, and mounts can be used. New gigabit POE injectors are included. The building to building wireless Ethernet bridge antennas are pre-configured and paired to each other, for plug-n-play installation and operation. External Signal LED's will assist with alignment and troubleshooting procedures. Maximum cat5e cable to be used on each end is 250ft. (Shielded cat5e is recommended). 1 year warranty includes technical support. Stream movies, netflix, share internet, and view remote video cameras, and surveillance systems over your new 802.11AC wireless bridge. The speed you have at the sending location, will be the speed you see at the receive location. For more throughput and less latency, please view our line of commercial grade PTP links. This 802.11AC wireless bridge ships pre-configured for plug-n-play installation. No configuration is required. Web based management allows for adjustment of TX/RX power, Security type, signal strength/signal noise reading, and real time throughput estimates. POE, PS, and pole mount hardware is included in the kit. Any 1-1.5" diameter mast/pole, will allow you to mount the antennas. If you require additional mounting hardware, please let us know. Each antenna will ship with a default IP address for web based management. Using any internet browser, you can log in to see the configuration and performance of the link. The adjustable mounting bracket allows for fast, easy installation onto a pole, or flat wall surface using the GNS-1433 recommended mount. To connect the building to building wireless bridge to your network at each location, a single Cat5 Ethernet cable is used. 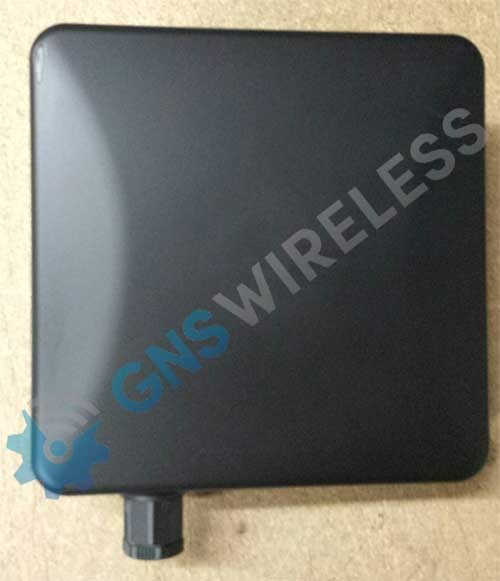 GNS Wireless includes a 50ft. cable for each location. (If you need more cable, a maximum length of up to 250ft. can be used) The Cat5e Ethernet cable connects directly from the outdoor access point using a weatherproof grommet, to an indoor POE (Power-over-Ethernet) injector. 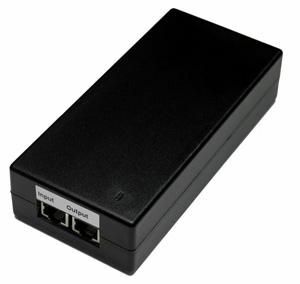 The POE injector plugs into a standard 120VAC outlet for power, and another Cat5 Ethernet cable connects from the POE injector to your network (Router/PC/Switch etc.) These antennas operate as a layer 2 bridge, and will pass all VLAN tagged frames. You can also configure the radios to a specific VLAN if desired. 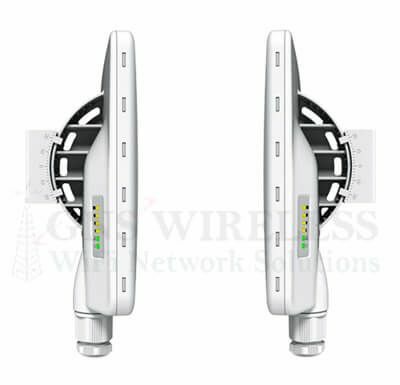 When clear, unobstructed line of sight is available, this GNS-1153AC wireless bridge package has the ability to transmit up to 1 mile distance. For best results, we recommend no more than 1/2 mile distance. If you have a shorter distance, with trees or other obstructions in the way, this wireless bridge kit will still operate effectively, although we would recommend your range to be less than 500ft. (density of trees will reduce throughput speed). 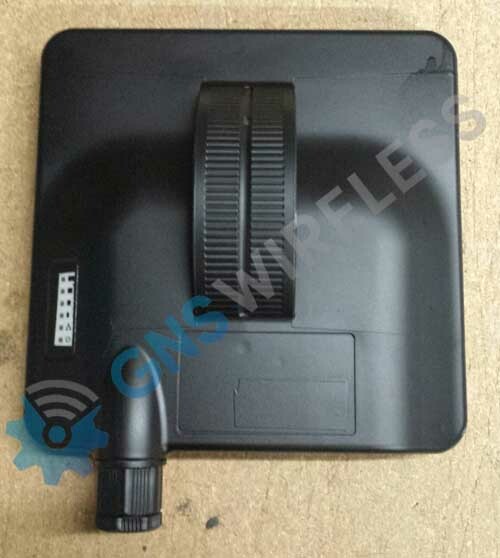 For shorter distances of less than 500ft., this 802.11AC wireless bridge can penetrate brick walls and still maintain a usable connection. Ideally, please try to mount the antennas outdoors for best results. The link is secured by using WPA/WPA2 AES encryption techniques. Passphrases can be changed at your discretion, but because of the focused signal beam coming out of the antennas, your wireless transmission is not being broadcasted in all directions, keeping the link more secure. You can also add additional MAC filtering to further reduce security threats. This will allow only the 2 radios to communicate to each other in the Wireless Ethernet Link. GNS Wireless has assembled this long range wireless bridge kit with the components required for a fully configured "out of the box" solution for a wireless point-to-point link. The IP address for each wireless bridge radio allows you to customize the settings, and view radio configuration tools. This is the best wireless Ethernet bridge for distances under 1/2 mile, with clear line of sight. For wireless bridge wholesale cost on quantities of 10 or more, please contact GNS Wireless today.